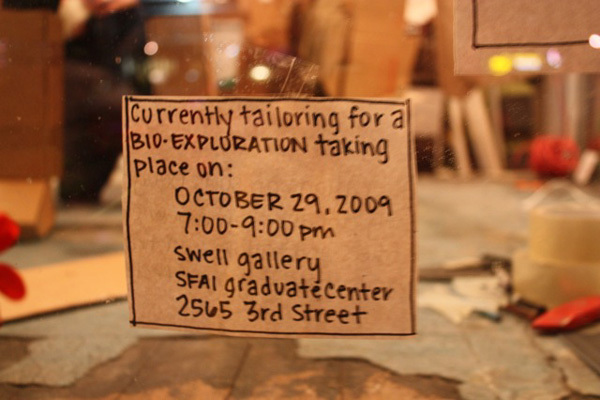 Multi-media temporary installation and performance, Abode Books, San Francisco, 2009. 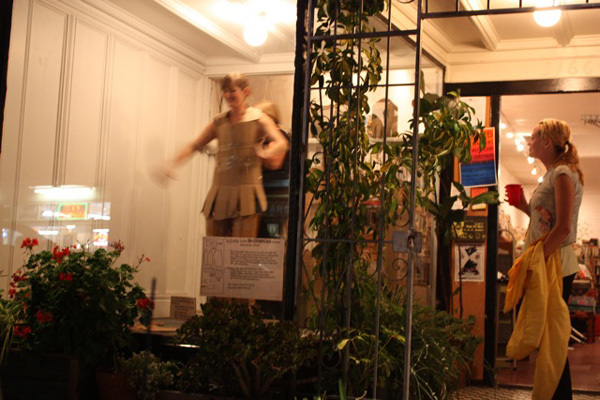 BioBox Suit Construction is a 90 minute performance conducted in the front window of Adobe Books. 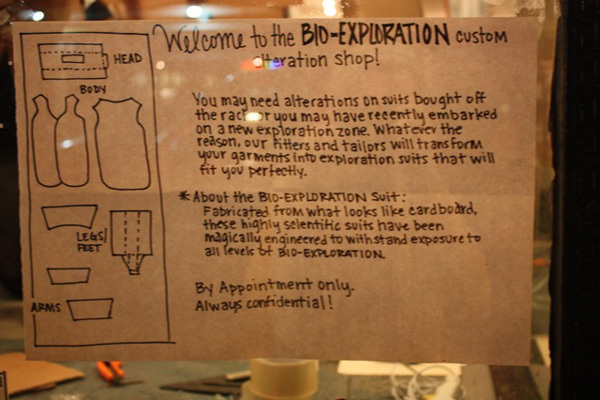 As investigative bio-explorers Cook and Dippo were specially fitted for custom bio-exploration suits. The tailoring process, usually an intimate and private affair, was conducted in public view revealing top secret details of the inner mechanics. Fabricated from what looked to be only paper and cardboard these highly scientific suits were magically engineered to withstand exposure to all levels of bio-exploration. Through NODE (Network of Daily Experience) artist team Emily Dippo and Kim Cook seek to create spaces for dialogue and exchange of ideas highlighting the relationship between art and the everyday. The artists use collaboration as a model for interaction between transdisciplinary networks of artists and organizations. An emphasis is placed on facilitating and nurturing new beginnings as well as maintaining ongoing connections. The team works with various modes of research such as oral history, storytelling, investigative workshops and walks at multiple sites in each community. While participating in these investigations community members are remembering, observing, collecting, narrating, sharing, and imagining the public spaces in which they live.